Richard J. De Fortuna focuses his practice exclusively on the representation of management in all aspects of labor and employment law, including collective bargaining negotiations, labor arbitrations, union elections, unfair labor practice proceedings, employment discrimination litigation brought pursuant to Title VII, the ADA, ADEA, FMLA, FLSA, OSHA and various state and local equivalents. In addition, Mr. De Fortuna has significant experience with employee benefit issues involving both single employer and Taft-Hartley multi-employer plans, having counseled multiple plans and their fiduciaries with regard to both plan sponsor initiatives and fiduciary obligations. Mr. De Fortuna has also defended several plans with respect to benefit eligibility issues and fiduciary duty issues, most recently in litigation involving retiree health and welfare benefits, as well as management with respect to contribution obligations and withdrawal liability claims. Prior to joining Paisner Litvin, Mr. De Fortuna represented management as an associate with the Philadelphia office of Morgan, Lewis & Bockius LLP and, prior to that, represented labor as an associate with Jennings, Sigmond, P.C. He earned his J.D. from Rutgers University School of Law in 2000 and his B. A. from Saint Joseph’s University in 1997. 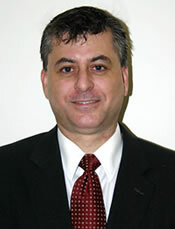 Mr. De Fortuna is admitted to practice in Pennsylvania, New Jersey and the District of Columbia.